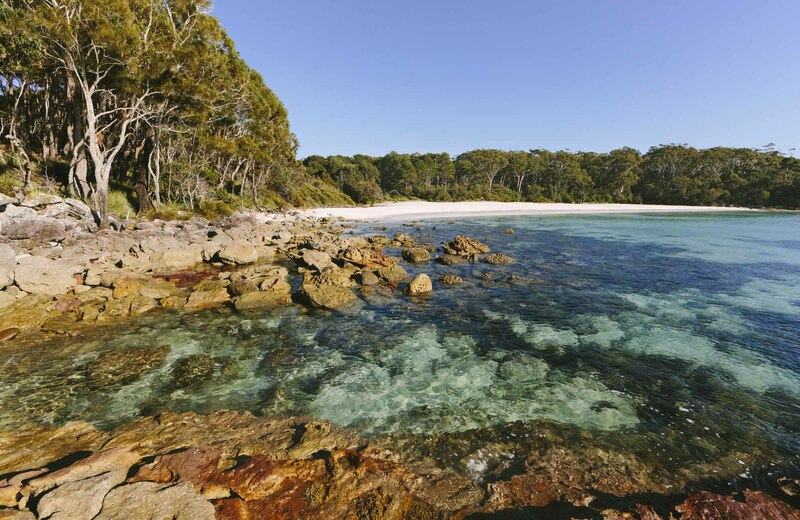 Greenfield Beach picnic area in Jervis Bay National Park is perfect for a barbecue. After a tasty lunch, go for a walk or head down to the beach for a swim or snorkel. Tucked away behind Greenfield Beach, this picnic area is known for its family-friendly atmosphere. It’s named after Colin Greenfield who lived in the area from 1942 until the 1970s. Set up a picnic table, sprawl out on the grass or take a seat in the shelter shed – with its informative panels it doubles as an outdoor classroom. You’ll also find free barbecues to cook your alfresco feast. Try a spot of birdwatching, work off your lunch on the White Sands walk and Scribbly Gum track, or head to the beach, just steps away. There are showers to wash salt from your skin after a swim or sandcastle session. Take a virtual tour of Greenfield Beach picnic area captured with Google Street View Trekker.